Years ago when I started this blog, I feared someone would read what I wrote. Then I feared no one would read what I wrote. (Double-edged fear like this is common among writers. Or so I hear.) But I wrote anyhow, because I think through my fingers. The words spill out, and my brain functions better than if all those thoughts are still racing about in my brain. 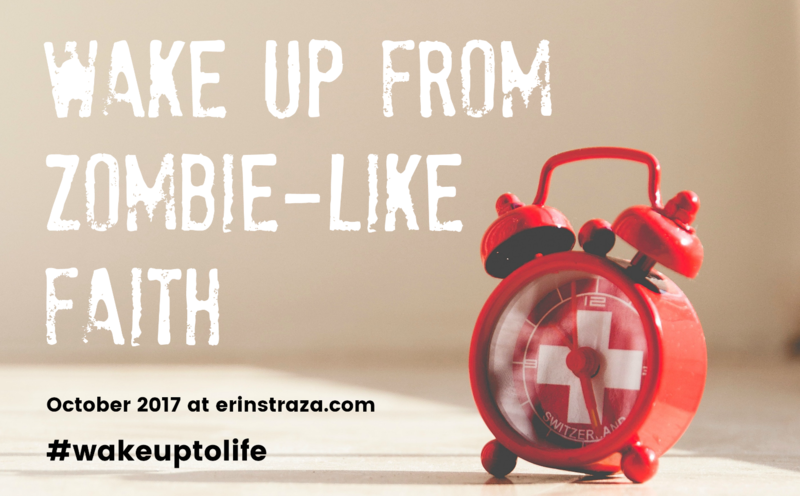 Blogging led to writing topical articles which led to the opportunity to write a book, Comfort Detox. Writing a book is a huge undertaking—a highly satisfying one, but still. My time to blog evaporated for a season. In the past few weeks, however, the itch to return to this creative space has grown. I’ve missed being here, sorting out ideas and clearing my brain of the detritus. A few weeks ago, I saw a notice about the Write 31 Days challenge, something I’ve not done since 2012. Thousands of writers commit to writing something every day of the month in October. It was a great experience back in 2012, so I’m joining for 2017 as a way to get back in the habit of fleshing out my ideas here at my blog. 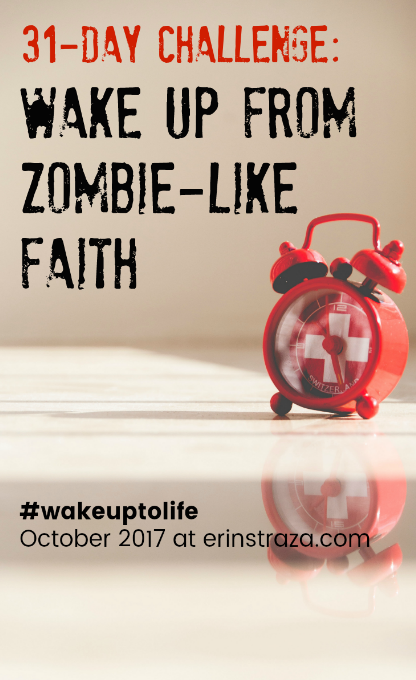 Each day in October, I’ll be writing about something I’m calling zombie-like faith. In short, this is the sort of faith that walks about in the world but is still rather dead and lifeless. Intriguing, eh?! I look forward to explaining more about the concept as the challenge progresses. Stop back throughout the month to read what I’m thinking and tell me what you think! Thanks, Kim! I appreciate your eyes on my words. It should be an interesting exploration.